The new partnership of Red Bull Illume and LUMEN - Museum of Mountain Photography will include the opening of a permanent exhibition to display the world´s greatest mountain sports photography from all four previous editions of the Red Bull Illume Image Quest. Emotion is something that belongs to both photography and action sports. Attempting a stunt can be as emotional as it is physical. There’s fear, frustration, pain and glory. One trick can have it all and it’s the photographer’s job to capture it. Here are 10 photos to celebrate those feelings that you won’t find anywhere else. This limited edition collectable book, each individually numbered, displays all 275 semi-finalist images from the 2016 competition. Discover the stories behind the top 55 images and receive a high quality print of Lorenz Holder's overall winning image! 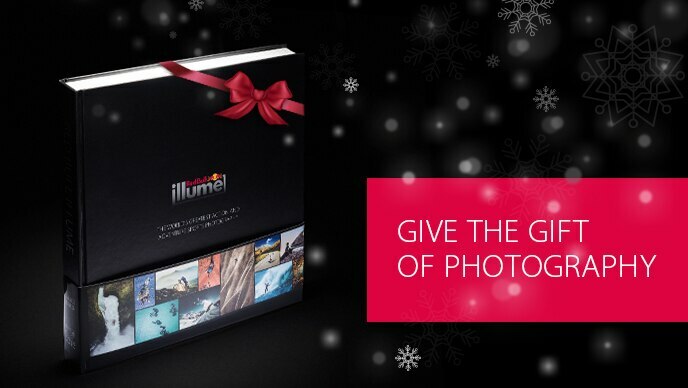 The perfect Christmas gift to your friend or family member that is passionate about adventure and action sports photography!